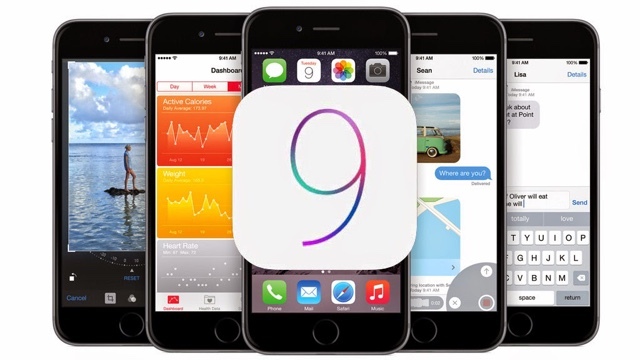 iOS 9 is finally available for the iPhone, iPad, and iPod Touch. As per usual, users can download the upgrade by navigating to the General tab in Settings and selecting Software update, or alternately connecting their device to the latest version of iTunes. It's a standard upgrade process through and through, but users needn't fret (as much, anyway) about required space for the download. As if to hint at the efficiency tweaks built in, Apple's new mobile OS only needs 1.3Gb of free space to work. While iOS 9 may not differ much visually from iOS 8 or even iOS 7, the new mobile operating system has plenty of tweaks and improvements built in to make it stabler than ever. In addition to Apple's new San Francisco font, iOS 9 boasts a new app switcher for multitasking and a smarter, more dynamic Siri. Those with newer iPads get a split-screen multi-tasking view similar to what Samsung and Microsoft offer on their tablets. Plus, the new News app offers a quick way to read the latest news stories. Altogether, the upgrade makes for a clear vision of where Apple wants to take computing, even if the changes Apple has made aren't groundbreaking unto themselves.